Am I saved? This is a question many of us have grown up asking ourselves. If you were raised in evangelical circles, then you know what we mean. Images of conversion come to mind like images of walking down the aisle to say a prayer to accept Jesus into one’s heart. But what does it mean to be saved? The contributors in Being Saved: Explorations in Human Salvation give the reader some access to the variety of answers to this question and a host of other related questions on the nature of salvation in Christian dogmatics. The nature of salvation is typically a topic of discussion not only in revivalist churches, but is the proper subject of dogmatic theology. A discipline of study often perceived as out of fashion, dogmatic theology is the disciplined study of theology by attending to the definitive utterances of the universal church and particular traditions—in this case the Reformed catholic tradition. In an attempt to revive this important discipline, the authors give expression to Reformed dogmatic theology as it bears on questions of soteriology (i.e., the doctrine of salvation). But don’t let the name throw you, this is not a cold restatement of historical truths disseminated from dusty old books. Rather, the theologians express the truth for a contemporary audience, thus making relevant the truth claims of the past in the ongoing process of proclamation for today. The proclamation of the gospel truths of salvation requires the hard work of understanding the language of the day and the needs of the church. Giving ear to these concerns, the authors express the gospel truth of salvation from varied perspectives, backgrounds, and disciplines. In what has become a popular word in contemporary theology, polyphonic expression of the faith is found in the pages of Being Saved. That is not to say that there is not one harmonious melody with several notes, in many cases there is one harmony, but not in all cases. With any collection that attempts to give some access to the lay of the land on one topic, there will be voices that sing out of step with the rest or, in other cases, it may be hard to hear how it is that the new notes are in tune with the old notes. Take for example the development of panpsychism (see Joanna Leidenhag), a relatively new personal ontology, newly adapted to the doctrines found in the Christian faith. Does it fit? That is a question worth exploring. Other voices are playing notes that are not necessarily doctrinally distinct in nature, but the manner in which they approach the topic of soteriology is methodologically distinct. Consider for example, some of the greatest violinists. Each has certain control on the violin. Each bear the mark of excellence. But it can’t be said that each plays the violin in the same way or sounds the same. Some theologians are more acutely attuned to the tools found in analytic philosophy (e.g., Greg Trickett and Tyler Taber, Jonathan Rutledge, R.T. Mullins), others are sensitive to historical development within dogmatics (e.g., Daniel Houck, Katherine Kirkpatrick, Paul Helm), others are attentive to theological readings that are in concert with the tradition (e.g., Carl Mosser, Adonis Vidu, Myk Habits), and others are attracted to doing explicit constructive systematic theology that is motivated by traditional concerns (e.g., Marc Cortez, Joshua Farris and Mark Hamilton). And still others are led by finer denominational distinctives (e.g., J.V. Fesko, Paul Helm). Others, still, have more explicit contemporary concerns in view (e.g., Ben Arbour, Hans Madueme). In this way, Being Saved gives expression to the polyvalent voice found within Reformed dogmatics. This will of course raise questions about the extent to which each proposal neatly fits into the broader Reformed tradition and which expressions are out of tune with the tradition, but as suggested earlier these discussions need to be had. If for no other reason than the message once received continues to deliver to the saints. Interrogating our faith is a part of the process of faith seeking understanding as we continue to take every thought captive to Christ. And, the present volume aids in that important endeavor. Marc Cortez is (PhD, University of St. Andrews) Associate Professor of Theology at Wheaton College. Joshua R. Farris (PhD, University of Bristol, UK) is Assistant Professor of Theology at Houston Baptist University. S. Mark Hamilton is a PhD candidate at the Free University of Amsterdam. Being Saved: Explorations in Human Salvation is available to order from our website. What is the Future of Lay Ministry? In 50 years’ time, what might we say about reader ministry in the Church of England? In the following extract from Instruments of Christ’s Love, Sally Buck, Graham Dodds and Phillip Tovey imagine themselves into the future and offer a vision for the future of lay ministry. in their newly configured oversight roles, have brought the teaching of faith through actions and words back to life in the country as well as in our cities. They have been unafraid of the challenges involved in combining their deep spirituality and theological understanding with their embeddedness in the world of work and social action. It was Readers who turned the Church inside out and who have given much in the service of their communities in the name of Jesus Christ. clubs and fellowship groups. And our decision as a Church to give them permission to celebrate Holy Communion with their local Christian communities in homes has meant that the priestly ministry has rightly found its proper episcopal role and the Church now truly embraces a eucharistic theology. people becoming Readers but also a greater diversity of what they were doing. Much of the local mission in terms of nurture groups and outreach to particular areas became conducted by the ministry team with Readers taking an equal part in that work. Their role in mission increasingly became central to the Church. Sally Buck is Director of Reader Formation in the Lincoln School of Theology and Diocesan Warden of Readers in the Diocese of Lincoln. Originally published in 1937, Dietrich Bonhoeffer’s study of Genesis 1-3 Creation and Fall was first published in English by SCM Press in 1959. In this edited extract, Bonhoeffer considers the first two verses of the Bible. The Bible begins in a place where our thinking is at its most passionate. Like huge breakers it surges up, is thrown back upon itself and spends its strength. Hardly has the first word of the Bible been visible to us for a moment, when it is as though the waves are racing forward again and submerging it with foaming water. That the Bible should speak of the beginning provokes the world and irritates us. For we cannot speak of the beginning; where the beginning begins our thinking stops, it comes to an end And yet the fact that we are asking about the beginning is the innermost impulse of our thinking; for in the last resort it is this which gives validity to every question we ask. We know that we must not cease to ask about the beginning though we know that we can never ask about it. Why not? Because we can conceive of the beginning only as something finite, therefore precisely as that which has no beginning. Because the beginning is freedom and we can conceive of freedom only in terms of necessity—as one thing among others but never, simply as the one thing before all others. If we ask why we always think from the viewpoint of the beginning and towards it, and why we can yet never conceive it nor even once get to it by asking, then this question is only the expression of a series of questions which could be pushed back into the infinite and which still did not reach the beginning. Thinking cannot answer its own last ‘why’, because an answer would again produce a ‘why’. The ‘why’ is much more the expression for the beginning-less thinking, par excellence.Our thinking , that is, the thinking of those who must go to Christ to know of God, the thinking of fallen man, has no beginning because it is a circle. We think in a circle. We might then say that in that case there is beginning everywhere. We could equally well say that there is no beginning at all: the decisive point is that thinking takes this circle for the infinite and original reality and entangles itself in a vicious circle. There can therefore be nothing more disturbing or agitating for man than to hear someone speak of the beginning as though it were not the totally ineffable, unutterably dark beyond of our blind existence. We will fall upon him, we will call him an arch-liar or even a saviour and we will kill him when we hear what he says. Who can say it? Either the one who was a liar from the beginning […] or the other One who, from the bginning was the way, the truth and the life, who was in the beginning: God himself, Christ, the Holy Spirit. No one can speak of the beginning but the one who was in the beginning. Thus the Bible begins with God’s free affirmation, free acknowledgment, free revelation of himself: In the beginning God Created…But the rock in the sea is hardly visible before it is covered again by the sea brought to turmoil by the vision of him who is unshakable. What does it mean that in the beginning is God? Which God? Your God, whom you yourself created out of your need because you need an idol, because you do not wish to live without the beginning or without the end, because you are afraid of being in the middle? In the beginning God—that is just your lie, which is not better, but more cowardly even than the lie of the evil one. How do you know the beginning, stranger, you who write this sentence? Have you seen it, were you there at the beginning? Does not your God himself say to you ‘Where were you when I laid the foundation of the earth? answer if you have understanding’ (Job 38.4). What are the first words of Scripture? A delusion of the cowardly imagination of a man who is not able to live in the middle with pride or resignation? Is it the imagination of a man like ourselves when, out of the cowardice of our beginningless and endless lives we cry out to a God who is but our own ego? How shall we be able to answer this reproach? It is true that anyone who speaks of the beginning speaks of his fear within the circle of life, even he who wrote the Bible, he does not speak but God himself speaks, the true primal reality, who was before our life, before our thinking and its fear, who says only of himself that he is in the beginning. He bears witness to himself by nothing but this Word, the word of a book which as the word of a holy man is of itself a word ‘from the middle’ and not ‘from the beginning’. In the beginning God created … That, said and heard as human word is the form of the servant in which God encounters us from the beginning and in which alone he is to be found. It is neither profound nor frivolous. It is God’s truth, in so far as he says it. In the beginning—God. That is true if he is present to us in the middle with this word as the one who creates and not as one who is remote, reposing, eternally being. We can only know of the beginning in the true sense as we hear of it in the middle between beginning and end. Otherwise it would not be the beginning which is our beginning. Of God as the beginning we know here in the middle, between the lost beginning and lost end only—as of the Creator. In the beginning, out of freedom, out of nothing, God created the heavens and the earth. That is the comfort with which the Bible addresses us who are in the middle, who are anxious before the false void, the beginning without a beginning and the end without an end. It is the gospel, it is the resurrected Christ of whom one is speaking here. God is in the beginning and he will be in the end. He is free regarding the world. The fact that he lets us know this is mercy, grace, forgiveness and comfort. How does 2 Samuel Encounter Disability? If you have read this morning’s lectionary reading from 2 Samuel, you may have been left with the feeling that the verses actively discriminate against disabled people. In an extract from The Bible and Disability: A Commentary, Jeremy Schipper considers the issues. The books of Samuel tell the story of Israel’s transition from a system of leadership organized around various judges to the leadership of the Davidic monarchy. This transition involves constant shifts among various characters or households from “insiders” to “outsiders” and vice versa. My discussion of 2 Samuel focuses on how these book uses imagery of disability and idealized bodies to mark such shifts in status. David continues to consolidate his power in 2 Samuel. In order to do so, David distances himself politically from a variety of parties that represent diverse groups. These parties do not represent a monolithic group. Instead, they include Joab and his household, the inhabitants of Jerusalem, and various members of Saul’s household. Nonetheless, the opening chapters of 2 Samuel lump these diverse parties into a unified “other” by characterizing them all with disability or impurity imagery. One reason that David must distance himself from certain parties is that some people suspected David was behind several of the murders of his political rivals. David had publicly condemned those who murdered Saul and his sons (2 Sam 1:1-16, 4:4-12). Yet, several chapters later, as David flees Jerusalem during Absalom’s coup, a member of Saul’s family named Shimei curses him, shouting “Out! Out! Murderer! Scoundrel! The Lord has avenged on all of you the blood of the house of Saul, in whose place you have reigned” (16:7b-8a). In 2 Sam 4 the text uses disability imagery to characterize members of Saul’s family. When Saul’s son Ishbaal hears of Abner’s death, the text describes his reaction with the idiom “his hands became feeble” (4:1). Although this is an idiom for a loss of courage, the imagery involves physical weakness (Num 13:18). Three verses later, the text introduces Mephibosheth, Saul’s grandson, and immediately notes his disability: “Saul’s son Jonathan had a son who was crippled in his feet. He was five years old when the news about Saul and Jonathan came from Jezreel. His nurse picked him up and fled; and, in her haste to flee, it happened that he fell and became lame. His name was Mephibosheth” (2 Sam 4:4). The opening verses of 2 Sam 4 characterize Saul’s heirs as having enfeebled hands and impaired feet. After Ishbaal is murdered in 4:7, the narrative continues to connect hand and foot imagery when David has Ishbaal’s assassins killed and their hands and feet cut off (4:12). After Ishbaal dies David becomes king over all Israel (5:1-5) and immediately conquers Jerusalem. When he attacks the city, the text uses disability imagery to characterize his opposition. The words “blind” and “lame” occur three times each in 5:6-8. In v. 8 the terms “lame” and “blind” describe the parties whom David “hates.” In 6:16 the text uses the verb “hated” to describe Michal’s reaction to David when he danced as he brought the ark into Jerusalem. A few verses later, the narrator states, “Michal the daughter of Saul had no child to the day of her death” (6:23). This verse could imply Michal’s infertility (Schipper 2007, 105–7). Infertility was associated with various disabilities, including visual and mobility impairments, in other biblical and ancient Near Eastern texts. The first verse in 2 Sam 7 states that “the Lord had given [David] rest from all his enemies around him.” At this point, the only viable remaining heir to the throne from Saul’s household is Mephibosheth, whose disability is mentioned repeatedly in the subsequent chapters (9:3, 13; 19:26). The use of disability imagery to characterize David’s opposition contrasts sharply with the physical idealization of David himself, who is described as having “beautiful eyes and a handsome appearance” (1 Sam 16:12). Even members of David’s family who do not become king are often physically idealized. For example, like Saul, David’s brother Eliab is tall (16:7). David’s sons Absalom and Adonijah are handsome (2 Sam 14:25 and 1 Kgs 1:6, respectively), and his daughter and granddaughter, both named Tamar, are beautiful (2 Sam 13:1 and 14:27, respectively). David’s wives Abigail and Bathsheba, who have children with him and thus continue the royal bloodline, are also described as beautiful (1 Sam 25:3 and 2 Sam 11:2, respectively). By contrast, Saul’s daughter Michal, whom David marries but never impregnates, is never described as beautiful. Disability imagery helps to characterize parties who present obstacles to David’s political power and helps to contrast them with David’s idealized royal family. At the same time, disability imagery helps to mark shifts in status. For example, 5:6-8 indicates that Jerusalem’s residents included “the blind and the lame” before David establishes the city as his capital. In 5:6 the residents of Jerusalem say, “David cannot come in here.” Yet when David conquers the city, he declares his hatred for the blind and the lame (5:8). The same verse explains, “Therefore it is said, ‘The blind and the lame shall not come into the house.’ ” This passage uses persons with disabilities, who had been in Jerusalem while David was outside the city, to represent those on the outside once David takes over. Regarding access to Jerusalem, the contrast between David and persons with disabilities helps to signal changes among insiders and outsiders. This contrast continues over the next several chapters. In 9:4-5 David summons Mephibosheth, who enters Jerusalem despite the earlier prohibition against “the lame” coming into the city. After David and Mephibosheth talk, the story ends with the statement “Mephibosheth lived in Jerusalem, for he always ate at the king’s table. Now he was lame in both his feet” (9:13). This verse states explicitly that Mephibosheth now dwells in Jerusalem and that he was lame (cf. 4:4, 9:3). A few chapters later, David must flee Jerusalem and his rebellious son Absalom enters the city (15:14-37). At this point David is on the outside. While exiled from Jerusalem, a man named Ziba tells David that Mephibosheth still “lives in Jerusalem for [Mephibosheth] said, ‘Today the house of Israel will give me back my grandfather’s kingdom’ ” (16:3). One should note that the narrative indicates David’s reversal of fortune through not only the loss of his capital city but also a reminder that persons with disabilities once again dwell in Jerusalem (cf. 5:6). After Absalom’s defeat, Mephibosheth contests Ziba’s report (19:24-30). While scholars debate whether this conversation happens in or outside Jerusalem (Schipper 2006, 52 n. 56), it is possible that Mephibosheth speaks to David when the king returns to Jerusalem, whereas previously David had spoken to Mephibosheth when the king first summoned him to Jerusalem in 2 Sam 9. During David’s exile from Jerusalem, he is described with imagery that had characterized members of Saul’s family during David’s rise to power. For example, the narrator described Ishbaal’s hands as feeble shortly before David replaced him as king (4:1). During David’s exile, Ahithophel tells Absalom that David “is weary and his hands are feeble” (17:2). In 17:29 David and his troops are described as “hungry, weary and thirsty in the wilderness.” A man named Machir is listed among those who provide them with food while they are outside Jerusalem (17:27-28). Previously, Machir provided for Mephibosheth while he lived outside Jerusalem before David brings him into the city (9:4-5). Although David is described as physically depleted rather than disabled (cf. 16:14, 21:15), the physical imagery once again reinforces a change in his status during his exile. Imagery toward the end of 2 Samuel continues to develop themes of reversals in status that were introduced during Hannah’s song in 1 Sam 2. The Bible and Disability: A Commentary is edited by Sarah Melcher, Mikeal C. Parsons and Amos Yong. The UK edition is published by SCM Press and includes a foreword by John Swinton. Click here to find out more. Reflecting on what loneliness looks like in parish ministry Bob Mayo considers the reality that ‘The possibility of loneliness is never far away for a church leader’. When I stand up to preach, it is always with the same sensation. I am Isaiah in the Temple or Peter falling at Jesus’ knees saying ‘get away from me Lord for I am a sinful man’ (Is 6 & Lk 5:8). The reality of God is an uncomfortable truth. As I start my sermon it is midnight and the bridegroom is in sight, yet the ‘wise’ virgins will still not share their oil in case they are left without enough for themselves (Mt 25:1-13). On that night two people will be in one bed; one will be taken and the other left (Lk 17:34). He must become greater; I must become less (Jn 3:30). There is a stamp of separation that lies at the heart of a life of faith in God. In the Old Testament God calls his people to a nomadic life of faith full of inconvenience and risk. Moses spent 40 years leading the Israelites through the wilderness on a journey that might otherwise have taken only 11 days (Dt 1:2). The Lord’s anger was kindled against Israel and He made them wander in the wilderness for forty years, until all the generation that had done evil in the sight of the Lord was dead (Num 32:13). Moses brought the Israelites to the threshold of the Promised Land but was not allowed by God to enter with them (Num 20:9-11). David describes himself as lonely and afflicted (Ps 25:16). Jeremiah (20:14) and Job (3:1) are driven to despair by what God is asking of them. They both curse the day on which they were born. The disciples leave their families and shake the dust off their feet when people do not listen to them (Mt 10:14 & 19:29). Jesus then begins to distance himself from them as they walk towards Jerusalem. He walks ahead of them. They are astonished and afraid (Mk 10:32). Jesus has had a lifetime of being misunderstood (Mt 13:55-56). He needs to face his coming trial alone and he is starting the process of separating himself from his disciples. In Gethsemane Jesus is in anguish: sweat was like drops of blood falling to the ground (Luke 22:44). The need for separation and solitude is an integral part of being a church leader. Prayer, reading and reflection all require times of being alone. These are core roles for any church leader. The challenge for the church leader is to practice the art of solitude while avoiding the trap of loneliness. Solitude is something we choose. It is constructive and restorative. Loneliness is imposed. Tillich (2010) writes that loneliness expresses the pain and solitude the glory of being alone. In a society that puts a premium on romantic love and relationships solitude is not properly appreciated. Solitude can be as therapeutic and insightful as can emotional support and friendship from others. Rowan Williams (1995:121) wrote that Christians seem to treat the subject of loneliness with a consistent lack of seriousness and with a painful lack of imagination and sympathy. What the Bible depicts as prayer reflects the often-lonely experience of the parish priest. Prayer is, in effect, an offering to God of our obedience. The fundamental truth is that Christ’s way is the way of self-emptying (Phil. 2:5-11). It is a way that the world sees as weakness and failure. The day to day living of the parish priest, poured out in conversations, prayer and stick-at-it-ness, makes it a necessary truth to learn that Christ took no account of achievement and success, only of serving and giving and loving. The possibility of loneliness is never far away for a church leader. There is a hard edge to living in a vicarage and being permanently accessible to others. I can only lose when someone knocks at the door asking for money. If I give the person money then it is no more than what is expected of me. If I do not do so then I am open to criticism for being ungenerous. I have nights with people ringing the vicarage door at 2am and then again at 5am. At the church school fete it is seen as obligatory for the vicar to buy a raffle ticket but it is equally as important that he is never seen to win the prize. My loneliness has the stamp of the Beatitudes. The Beatitudes are a text of beauty and terror. We are blessed for being poor in spirit, mourning, being insulted or persecuted (Mt 5:3-12). We are left clean with an inner raw longing for God. There is nowhere to hide when leading public worship. I preach as someone longing for God. I pray as someone reaching out for God. I sing as someone praising God and lead others in the process. We are hard pressed on every side, but not crushed; perplexed, but not in despair; persecuted, but not abandoned; struck down, but not destroyed (2 Cor 4:8-10). Sometimes the greatest cause of isolation is not what others do but what we do to ourselves. Warren (2002) and Savage (2006) both say that clergy are stressed because they are carrying around unreasonable expectations of themselves and disappointed because the reality of the parish life has not lived up to the ideal they had imagined. A difficult individual, an unresolved issue or a lack of gratitude for what we do are not issues peculiar to a parish but would be evident in any number of work contexts. Parish work can feel like a treadmill where clergy are left struggling to keep up with [what they feel are] endless demands made on their time. A sense of isolation can be exacerbated by the fact that there is an assumed competence to the role of church leader whose task is to care for others. It is possible to be with people and still feel isolated. Friendship forming is a critical role for the Church to play. Set against a social backdrop of rural isolation, urban fragmentation and suburban commuting, parish churches offer people a chance to gather together and to form relationships with each other. Our strength as the church lies in our collective relationships in the name of Jesus Christ. Our uniqueness lies in the one true historical faith. Our mission is to embody this in how we live our lives, shaping ourselves round the needs of the most vulnerable because therein lies the face of Christ. In the Old Testament David and Jonathan’s friendship had started when each recognized the courage in the other. Before he fought Goliath David had fought a lion and a bear (1 Sam 17:34). Jonathan himself was a man of great courage. He had initiated a one-man war against the Philistines (1 Sam 14). Jonathan accepted God’s decision that David, rather than he, should be king. At Jonathan’s funeral David wept and described Jonathan’s love as more wonderful than that of women (2 Sam 1:26). The paradox of Christianity is that God’s power is made perfect in weakness. The trauma of crucifixion contains within it the offer of salvation. The brokenness of one is the salvation of all. The importance of Jesus’ cry of despair from the Cross is shown in the fact that the only one of Jesus’ seven sayings from the cross recorded in both Mark and Matthew. It comes after Jesus has been on the cross for six hours. It contains within it the insight needed for difficult weeks as a church leader. Jesus’ words come from Psalm 22. The Psalm is in two parts: verses 1-21 (suffering & grief) and verses 22-31 (praise & hope). Hope and grief are not binary opposites but are each a part of the other. Grieving does not happen automatically. Anyone can decide to cover up his pain and ignore unresolved grief. When we accept grief, we are choosing hope. Grieving embraced is a hopeful and deliberate choice, made because we want to be whole once more. Psalm 22 bridges Jesus’ crucifixion and resurrection, crossing from grief to hope. Jesus was alone but not lonely. To think of Jesus as lonely stresses His human qualities: compassion, love, justice, and social conscience and so on, at the expense of his divine nature. Jesus was temporarily lower than the angels (Heb 2:9). This however was subservience in role but not subservience in essence. Jesus was not just someone chosen by God to do a special mission. Jesus was God Himself. We live in a lonely society. According to a report Church in Action (2015) published by the Church Urban Fund (CUF) clergy listed loneliness and social isolation as the most widespread social problems affecting English communities, regardless of income or social class. The report showed that nearly half, or 46%, of churches are running organized activities to tackle social isolation through programs such as youth groups, parent-toddler groups or lunch clubs. Churches are also providing informal support, through social networks and friendship groups. I spend time with people who live lonely lives. I go a short distance from the vicarage to the supermarket to buy a lunchtime sandwich. It takes me three attempts to return home because on each occasion a homeless person asks for the sandwich that I have just bought for myself. They want companionship more than food and so I take time in turn to speak to each of them. It is Psalm 22 in the parish, but a lot easier for me with simple conversations than it had been for Jesus with his crucifixion. 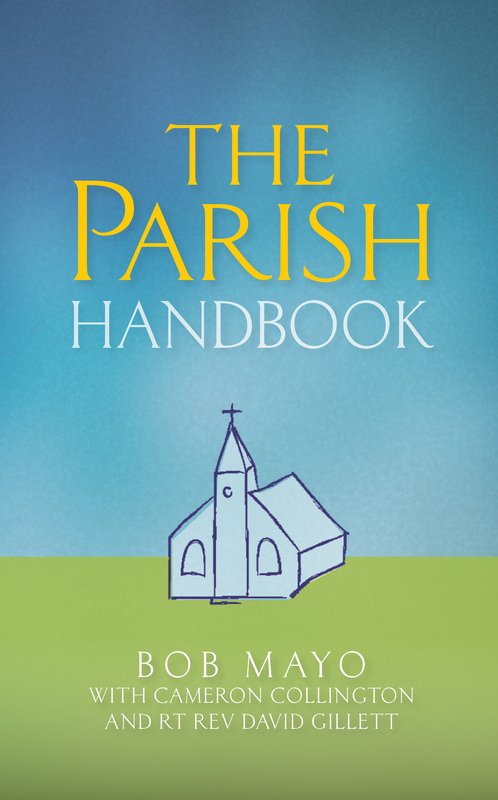 This is an extract from The Parish Handbook by Bob Mayo, Cameron Collington, David Gillett, which is included in our summer sale.